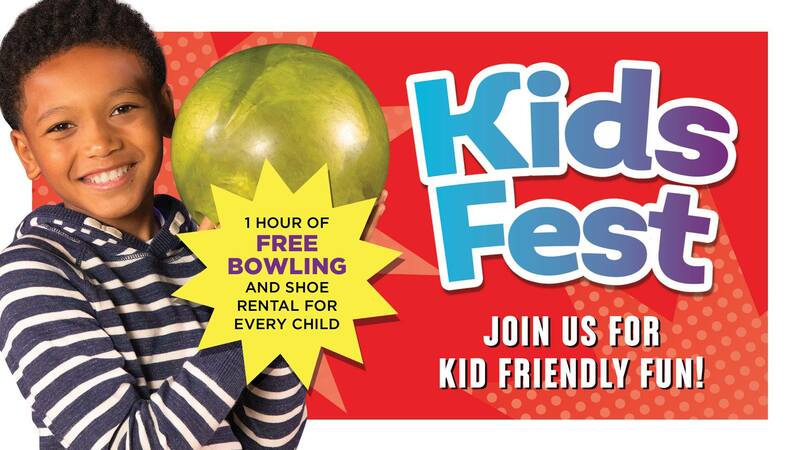 Every Child receives 1 hour of FREE BOWLING, Shoe Rental and a $5 Arcade card! Also enjoy $2 Nathan’s Hot Dogs, $1 Soft Drinks and $1 Cookies! Adults can also join in on the fun with a discounted 1 hour of bowling!